This Unique, One-of-a-Kind, Contemporary 3-Level Home with Mountain Views & TONS of Potential is sure to WOW you! As a Full-Time Living or Weekend Getaway, this Home is Commuting Distance to I-66 & Rte 50 and just Minutes to Community Park. 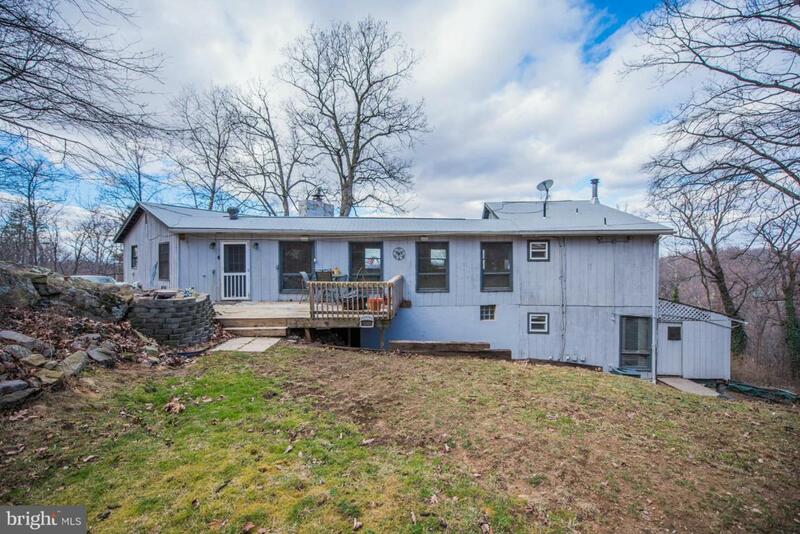 Main Level Master Bedroom Suite off of Living Room/Breezeway,2 Wood Stoves w/Stone Hearths,2 Decks & Exterior Balcony,Pond,& More! As-Is. VIEW VIRTUAL TOUR!